The London dartboard is the name for the standard dartboard most players use and we all see on TV. The London dartboard is a board that has the traditional number system we are used to seeing, a doubles ring, a trebles ring, a bullseye and outer bullseye. Most people refer to this dartboard as a traditional or standard dartboard and are not aware the dartboard does have another name. However, there have been many different dartboards before the London dartboard saw the light of day. In fact, the board was not available before the 1920’s, so it is only around 100 years old. The Yorkshire dartboard was one of the most commonly used boards prior to the London (clock) dartboard being introduced. 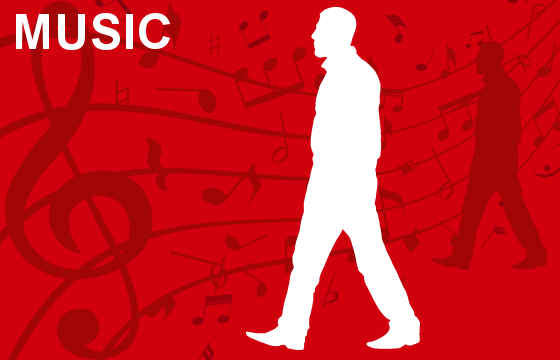 The introduction of the treble ring made the game more difficult and easier in equal measure. The treble scoring segment meant that players could reduce their score quicker and checkout higher numbers, so some may argue easier! Not in the slightest! If you are unable to hit the treble ring with reasonable consistency then you are unlikely to win a game playing on this board. It is now, however, by far, the most popular dartboard available. Players, new to the sport may not realise that many variations preceded the dartboard many of us use today and were known as regional dartboards. The London dartboard is sometimes also referred to as the clock dartboard! The Various Dart Games and How to Play Them by A. Wellington (c. 1937-38), The Guinness book of Darts by Derek Brown (c. 1981) and the Unicorn book of Darts (c. 1950) refer to the London Dartboard as a Clock Dartboard. The reason why the London Dartboard is referred to as a clock dartboard is unclear. 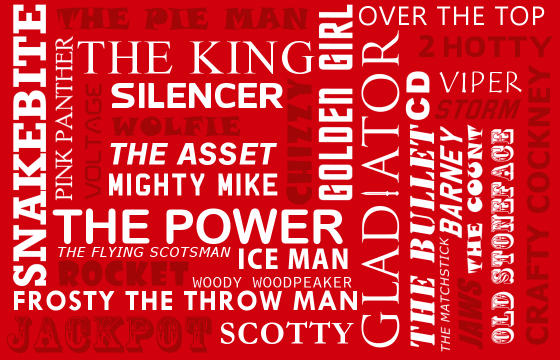 The dartboard has 20 numbered sections excluding the bull, outer-bull, trebles and doubles when a clock has 12! A better fit for a clock dartboard would be a 5’s Dartboard because this does have 12 segments and there is both a London Fives and an Ipswich version (see Fives Dartboard). Never the less, the main dartboard you see today has a few names given to it. The London Dartboard has been made in various forms including wood, paper coil, soft-tip plastic and of course sisal a material used in rope making and comes from the sisal plant. Dartboards have also been made from clay! No not fired hard clay, but soft clay like plasticine. However, the steel-tip dart player dartboard of choice is the sisal dartboard. Dartboards have also been made in various colours and colour-ways. However, competition dartboards now have a standard colour scheme consisting of black, red, green and natural sisal or white. Below are just a few of the others. Specially themed dartboards in the colours of football team colours can also be purchased from some suppliers. The first sisal dartboard was made by NODOR Dartboard company in 1932. (NODOR) In 1919, Ted Leggatt an industrial chemist went into business, manufacturing ‘NODOR’ modelling clay. He called the clay Nodor because the clay had no odour! Read more about the history of dartboards..
Ted also marketed the sisal dartboard not as sisal but as a bristle dartboard which led to a lot of confusion as regards what the ‘bristle’ actual was! Some even said it was pig bristle or horse hair. Sisal is a plant! So I hope this clears up the urban myth, bristle dartboard is a sisal dartboard! I suppose you could argue that bristle is easier to market than sisal. Until recent years sisal dartboards have been constructed in a similar way. The sisal is first pressed, wrapped with either paper or plastic. This is then cut into discs known as a ‘biscuit’. Approximately 20 of the sisal biscuits are then place in a mould and compressed further to form the playing surface of the dartboard. Before the compressed sisal is removed from the mould, a backboard is glued to one side of the sisal and a metal ring is screwed around the perimeter of the dartboard. Prior to painting the dartboard, the sisal is sanded to make the playing surface smooth. The veins seen in some of the dartboards is where the sisal biscuits meet, the compression gives each board a unique pattern. At the top end of the market is a dual-core dartboard. These boards consist of a multi-compressed sisal rear with a single sisal non-biscuit type top! 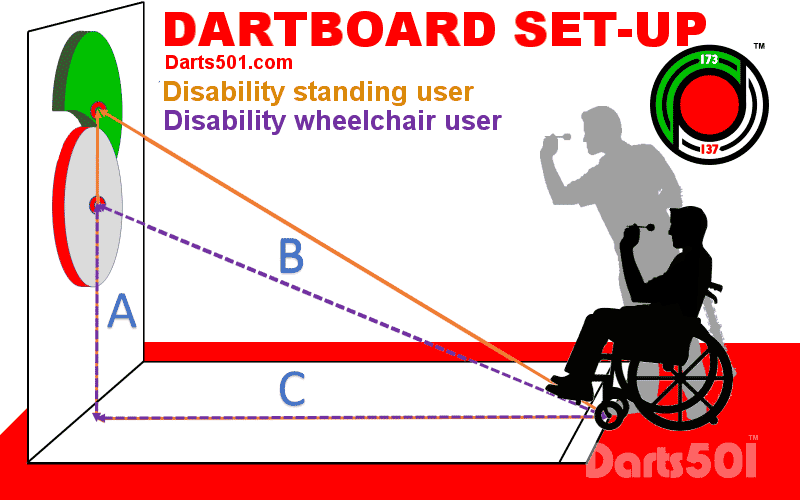 These boards have a softer (less compressed) playing surface which allows the dart to penetrate deeper and the rear part of the dartboard is denser than the top which holds the dart firmly. Overall, this means dart are less prone to falling out the dartboard. Regularly players will note the veins on a normal sisal dartboard can become exposed and dart can fall from the board should they hit the vein or fall from this area should the dart not penetrate deeply enough. Top-end dartboards also have a blade, a thin metal strip known as the ‘spider’ segment divider. The metal blade segment divider is thinner than the traditional wires used to divide the scoring areas. The blade also requires not staples or pins to keep the wire/ blade in place meaning there are less dart bounce outs. All top TV dart tournaments use dartboards made of this type of construction. Illustrated below are the board currently used (2018) by the British Darts Organisation (BDO), The Professional Darts Corporation (PDC) and the World Darts Federation (WDF). What are the dimensions of a Standard / London Clock Dartboard? 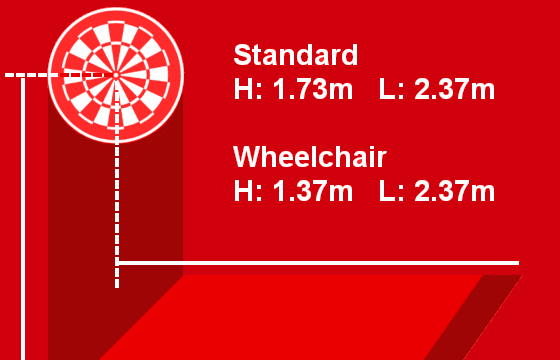 The dartboard should hang securely from a wall so that the height of the centre bull is 5ft 8ins / 173cm from the floor or 4’ 6” / 137cm for a wheelchair user. The toe-line or Oche 7ft 9 ¼ ins / 237cm shall be clearly marked and should be at least 18ins long. The toe line can be just a painted line on the ground or a securely raised line indicator such as a piece of wood or metal. The latter is preferable as the thrower has a firm edge to rest his/her foot against. Note: Dartboard oche length can vary in some leagues so please refer to local league rules. Soft-tip dartboard Oche length is longer at 8ft, 2.44m. See the dartboard setup page for further details on a number of different dartboards and their related set-ups. Dartboards - How they are made? Here is a short video showing how a dartboard is made. The first staple free dartboard I played on was a DMI / Puma Bandit. See here how they are made. Having played on most of these types of dartboards including, round wire and triangle, pyramid/diamond wire dartboard, I can personally say the blade type construction dartboards are the best by far. 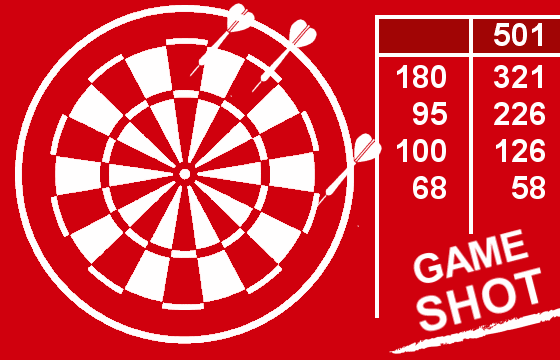 In addition to the standard 501 games we see mainly played in competition darts there are a vast number of dart games that can be played. Some of the games can be found on this website. Please see the game section. 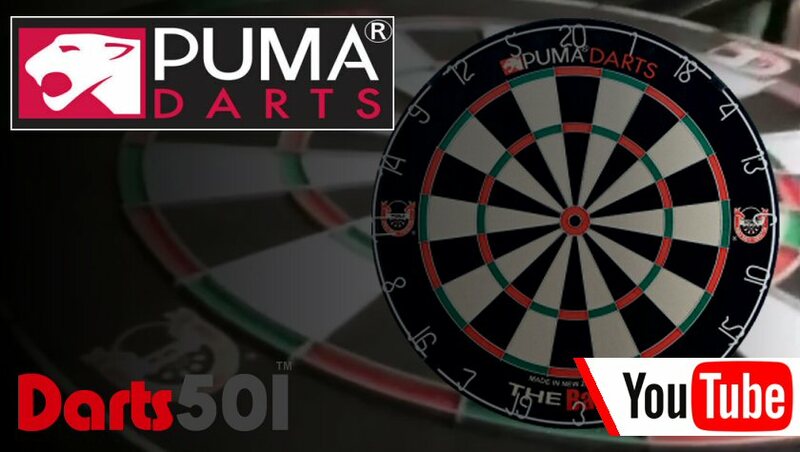 I have reviewed some of these dartboards for you and you can read my review on the Darts501.com website.